Oregon’s diverse topographies and microclimates are a viticultural paradise. Our series bring you wines of exceptional quality from each vintage in Oregon’s best warm-climate vineyards. Each selection offers a deeply flavorful wine that beautifully expresses a unique confluence of terroir, microclimate, winemaking, and barrel aging. Every wine in our series is a deliciously fruitful, distinctly Oregon expression of a classic red varietal or blend. Bottlings range from 25 to 100 cases. Home to some of the earliest plantings of big red varietals in Oregon, the Columbia Gorge AVA is home to vineyards producing distinctly bright, fruitful, yet elegant and sophisticated wines. 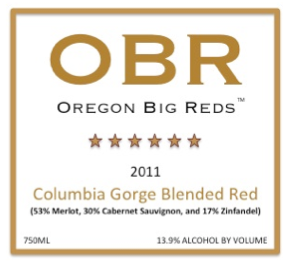 Our 2011 Columbia Gorge Blended Red is the perfect introduction to Oregon’s distinctive style of big red wines. 53% Merlot, 30% cabernet sauvignon, and 17% Zinfandel. 13.9% alcohol. 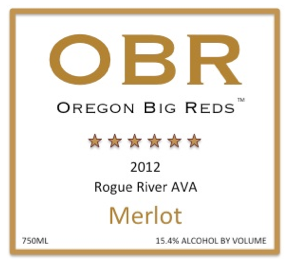 The warm summers in the Rogue River valley of southwestern Oregon are the perfect growing season for the bright, intensely flavorful merlot we bring you in this selection. At 15.5% alcohol, our 2012 Rogue River Merlot is a “serious” merlot made to express the deeply fruitful flavors that merlot develops in the Rogue River microclimate and terroir. Extended aging in neutral oak barrels to give full expression to the fruit flavors. 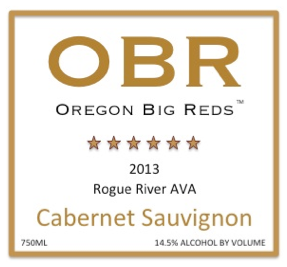 The Rogue River Valley provides a perfect growing environment for cabernet sauvignon. We add to nature’s process winemaking that uses oak to round and preserve cabernet’s fruit flavors, not overwhelm them. The result is cabernet sauvignon that is brightly fruitful, smooth, well- balanced, and engaging. 14.5% alcohol. 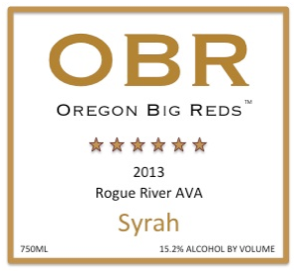 Perhaps no “big red” varietal responds as well to the warmer climate regions of Oregon – especially the Rogue River microclimate — as Syrah. The grapes we used in making this 2013 Syrah were a winemaker’s dream come true – full of deep, intense fruit and spice flavors, just waiting for aging in mild oak barrels. The result is a syrah wine that is a stunning expression of all that the amazing syrah grape can provide. 15.2 % alcohol. A close relative of cabernet franc, the intensely flavorful Maréchal Foch varietal has long been used in Europe to “enhance” the quality of lesser wines. 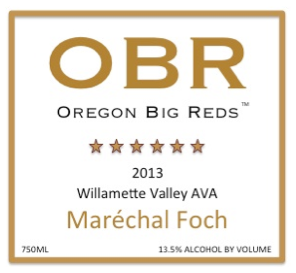 In Oregon, Maréchal Foch has found a home where it can be appreciated for its exceptional intensity and rich flavors as a single-varietal wines. The grapes for our two vintages of Marechal Foch wines are grown in a two-acre vineyard planted more than 20 years ago. 13.5% alcohol.